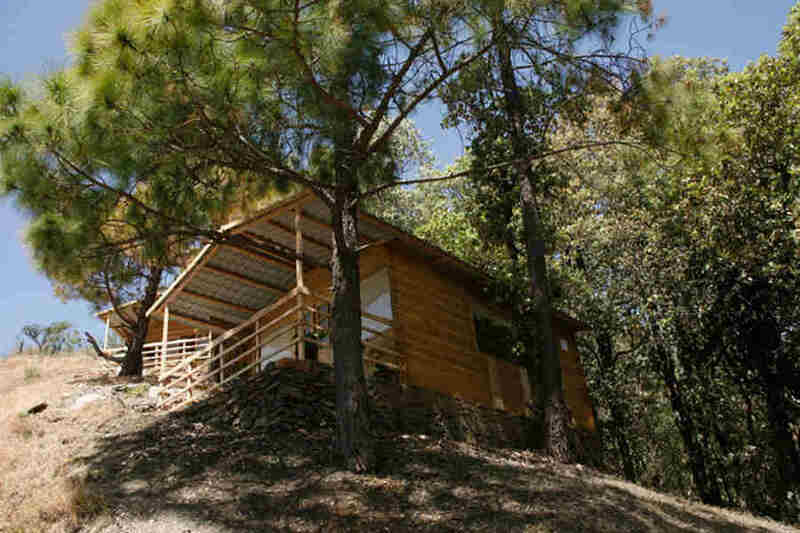 Use the form below to inquire about Tranquil Hill Resort At Shoghi Himachal Pradesh . 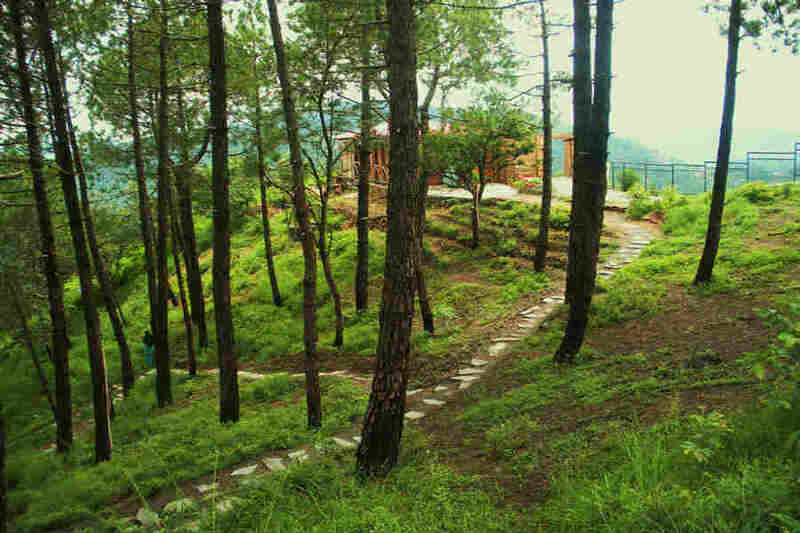 Use the form below to reserve for Tranquil Hill Resort At Shoghi Himachal Pradesh . 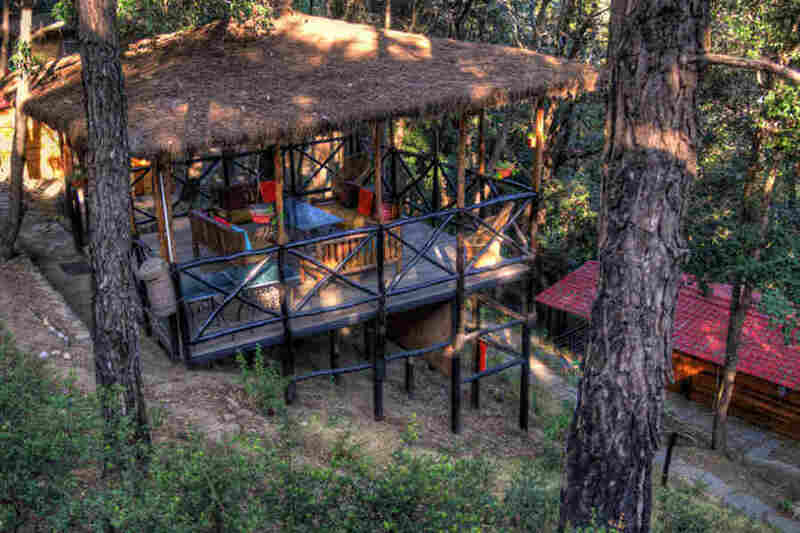 Spacious cottages with king size beds, chatai ceilings, private sit-outs, sofa beds and en-suite bathrooms. The cottages feature Sheesham wood furniture, silk furnishings, king size beds, private sit outs and ensuite bathrooms. 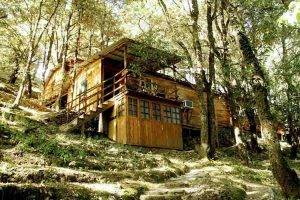 The two family cottages are interconnected and have two private sit outs and a wooden deck. One bedroom has a king size bed, while the other has twin beds. Air Conditioning (Hot & Cold), Hot and Cold Running Water, In-room Refrigerator, Intercom, Mini bar, Private Balcony/Verandah, Safe, Tea/Coffee Maker, TV with cable connection in each rooms. The suite has two large bedrooms with double sofa beds and king size beds.There is a separate living room. There are two private decks on either side of the cottage offering spectacular views. 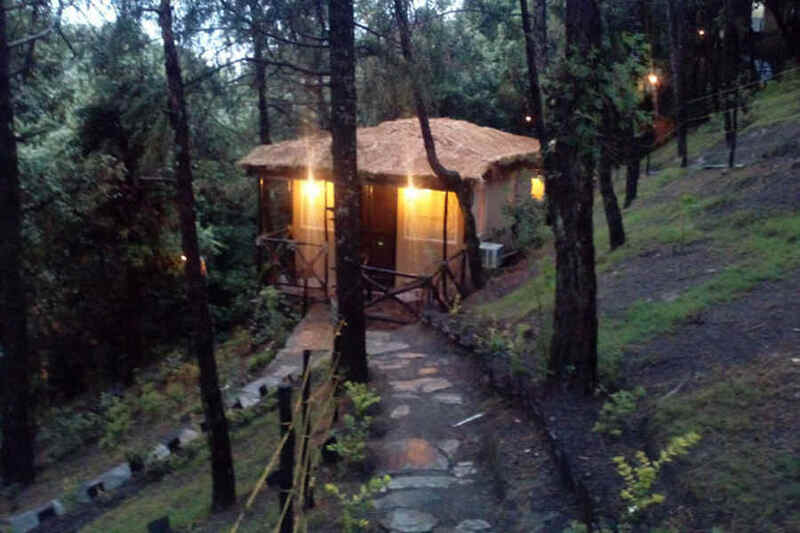 Be in proximity to nature as you the comforts at this Tranquil Hill Resort At Shoghi, tucked into the pristine forest. This Tranquil Hill Resort At Shoghi enveloped by a lush cover of oak and pine trees sits on a hill slope near enchanting Shimla. 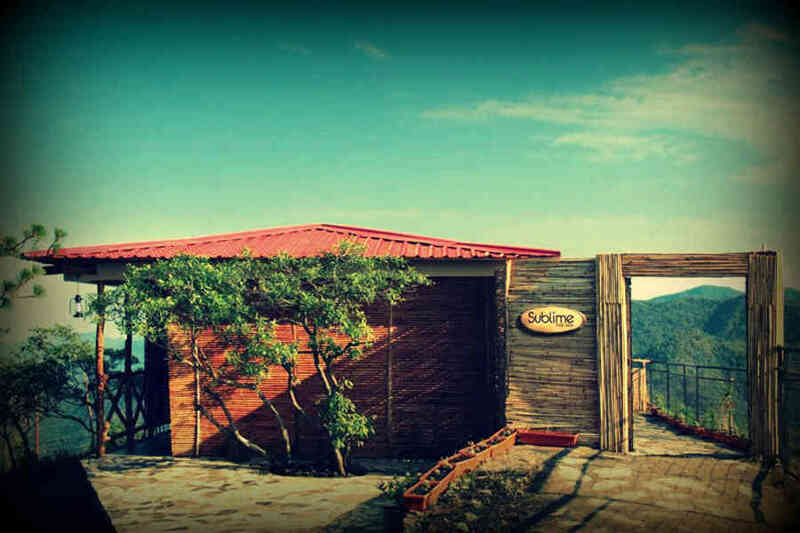 This resort is a perfect getaway as it is not too far from the comforts of the city while staying cozily hidden in the folds of nature, offering stunning views of the mountains, valleys, and forests. 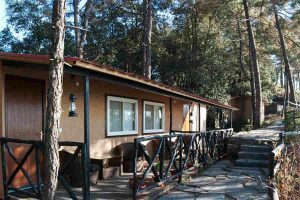 This Tranquil Hill Resort At Shoghi categorized as an ecotourism resort as per the state’s ecotourism policy has the exterior design of the cottages such that it blends with nature. Prefabricated cottages adhere to the strict norms of ecotourism keeping the raw appeal of the forest intact. 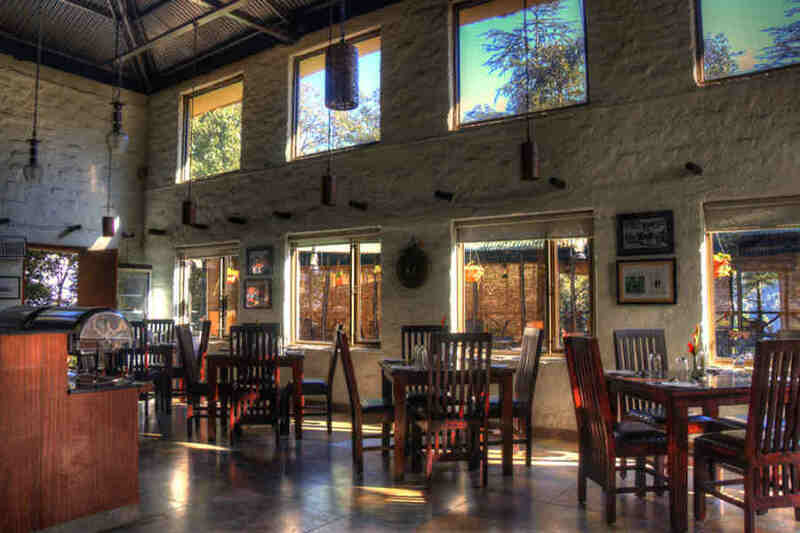 The in-house restaurant, which has received quite a few accolades, serves lip-smacking Indian and local Himachali delights. Aperitifs, spirits, and specially crafted cocktails can be relished around a bonfire in the jungle. You can enjoy a romantic dinner under the starlit sky on the edge of the mountain. The hilltop spa offers a visually appealing experience alongside physical and mental rejuvenation. 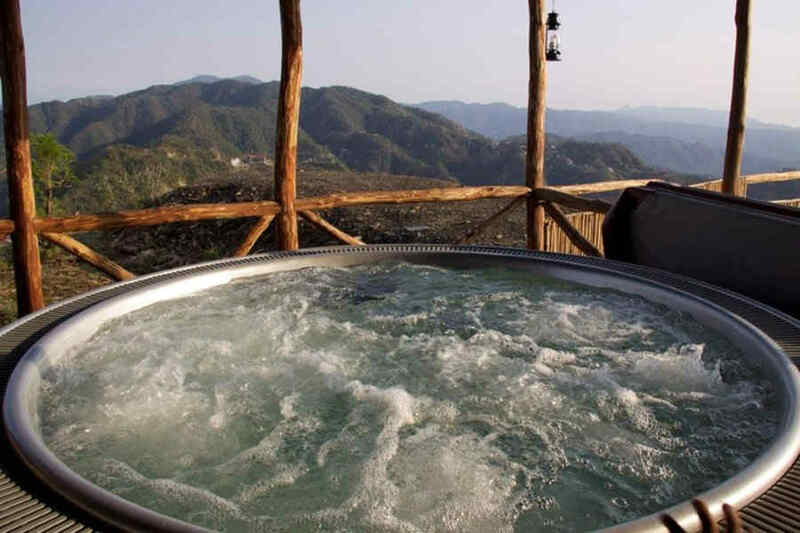 Take a dip in the open air Jacuzzi overlooking the mountains or sign up for a yoga session. This resort is also a good choice for family events, weddings, conferences, corporate team building retreats, and seminars. An outdoor venue and spacious open-air conference room fully equipped with modern audio-visual equipment make for a dream conference location. This Tranquil Hill Resort At Shoghi offers 20 choices in accommodation categorized as Deluxe Mud Finished Cottage, Super Deluxe Pine Cottage, Mud Finished Family Cottage, and Mud Finished Deluxe Family Suite, each with rustic detailing and world-class hospitality. The interiors and furnishings echo warm and earthy notes. 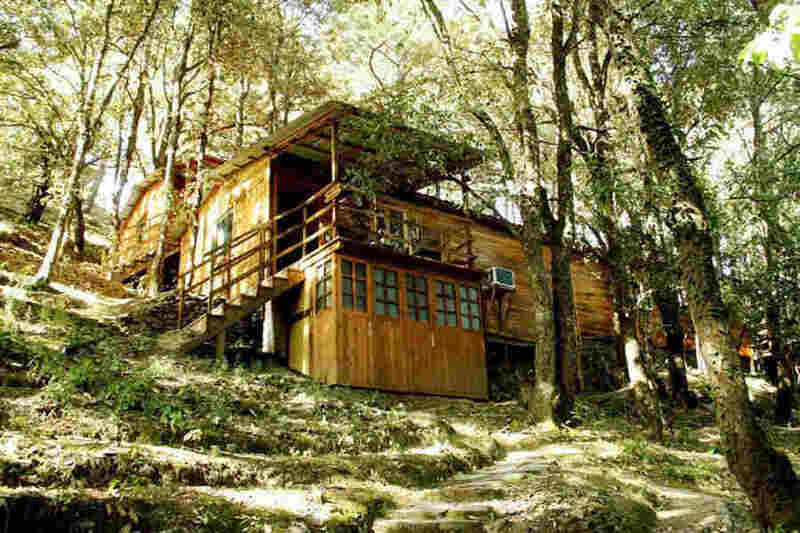 At this retreat, bond with friends and family as also nature! Spa and other activities are chargeable. Recreational games, adventure sports, nature walks, picnics, and rope walking are some of the activities to try out here. It is the perfect escape for couples seeking a romantic getaway. A walk along the forest or a romantic dinner under the starlit sky is a priceless experience. For artists, this resort can provide abundant inspiration. Corporate and team building events are conducted with specialist games and activities. Relax at the hill top spa with relaxing, detoxifying, revitalizing, and beautifying therapies and treatments such as Ayurveda and Aromatherapy, from mud wraps to seaweed scrubs. 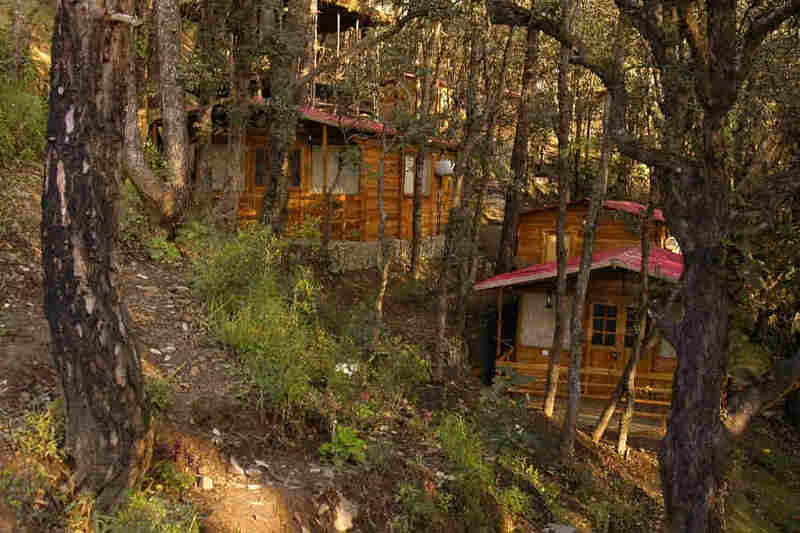 Go on a trek along the beautiful Himachal valleys as you drink in the pristine air. Visit Tara Devi Temple dedicated to the Goddess of Stars. The panoramic views from this temple perched at a height of 6,070 feet, are spectacular. Head to Chadwick Falls or the Himachal State Museum. If you are a student of literature or politics, a visit to the Indian Institute of Advanced Studies is a must. It is housed in the famous Viceregal Lodge which was built during the British era. Shimla Airport at Jubbarhatti is the closest airport at 22 km away. Chandigarh Airport is located around 111 km away while Indira Gandhi International Airport, New Delhi, is about 347 km away. Shoghi has a railway station about 2 km from the property while Shimla railway station is 15 km away. New Delhi Railway Station is around 344 km away. Shimla town is 15 km away along NH5 while Kasauli town is at a distance of 58 km along NH5. New Delhi is accessible via NH44 at a distance of about 346 km.